In Sweden, there's a word for getting cosy before the nights draw in. It's called 'Mys' and every Friday ('Fredagsmys') the tradition is to snuggle up and enjoy some comfort food and good company before winter proper sets in. In true Swedish style, this holiday celebrates the cosiness of Autumn with its vast array of colour and the anticipation of winter on its way. You’ll stay in the fantastic Treehotel high in the canopy before continuing your journey to Kiruna where your room at ICEHOTEL 365 awaits. 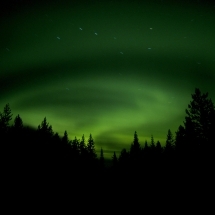 With darker days, appearances of the Northern Lights are common in these northern climes. You may witness wildlife such as moose as they too begin to revert to their winter routines. The trip can be customized to your preferences. Arrival to Luleå Airport where your transfer will take you to the Treehotel in Harads, a scenic drive of approximately one hour. 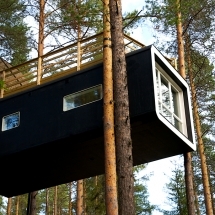 After arrival to the Treehotel, wander through the forest until the mesmerising sight of the tree rooms comes to view. Each room has been designed by one of Scandinavia's leading architects and plays with colour, light and height to create a sleeping experience like no other. 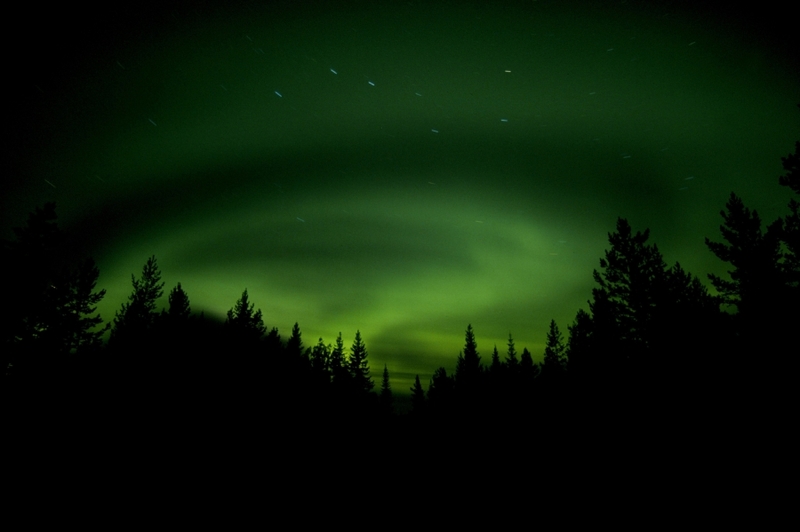 Settle into your room and look for appearances of the Northern Lights after darkness. We recommend taking advantage of the Treehotel's magical Forest Spa where you can relax in the sauna and hot tub. 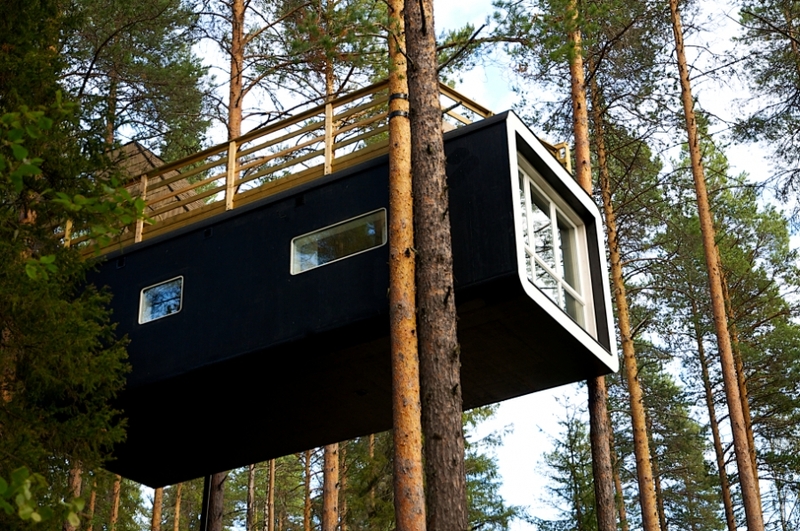 Treehotel is located deep in the Boreal Forest in Swedish Lapland, with stunning views over the Luleå River valley. 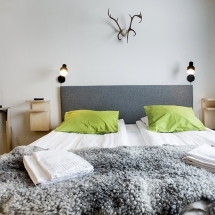 It is connected to Britta’s Pensionat (guesthouse) where you’ll meet your hosts and enjoy your meals. 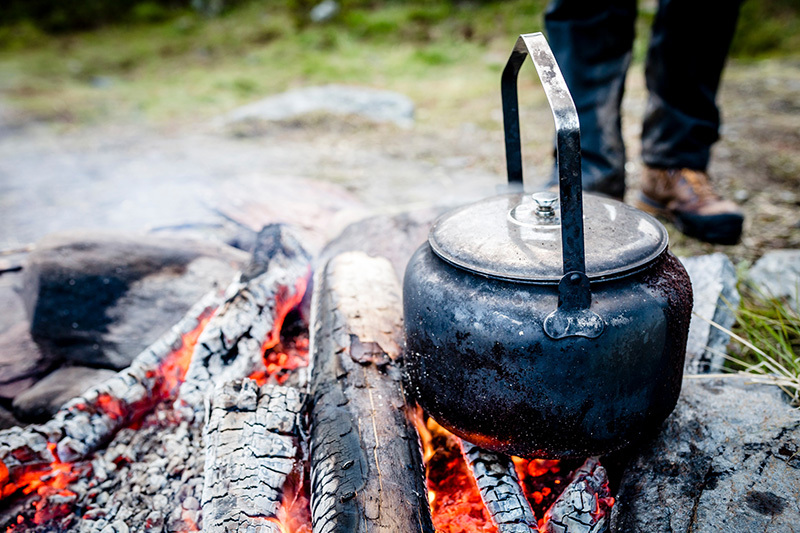 Britta’s wonderful home cooked meals feature Lapland’s finest, freshest and wildest ingredients including reindeer, moose, Arctic Char and Salmon. The guesthouse has an authentic 1930-1950s theme with a restaurant, bar, sauna and relaxation area, TV and free internet. When you arrive at Treehotel, you’ll check in at Britta’s Pensionat where you will leave your main luggage, carrying an overnight bag to your treeroom. All rooms have a unique view on the surrounding forest and valley. The interior of each Tree Room is uniquely designed by the architect, with its own furniture and lighting to complement the individual theme. The Bird's Nest is round and cosy hidden in the trees, a perfect little hideaway. Inside you’ll find a double bed and a further bunk bed. The interior is spacious with wooden clad walls and the windows that almost disappear in the exterior’s network of branches. The room is 17m² and has separate bedrooms, toilet and living area. You enter the Bird’s Nest by a retractable staircase. While working on the Bird’s Nest, which is largely in harmony with its surroundings, the idea of creating an entirely different environment was born. And what could be more different than a UFO? The room is cast in durable composite material – all to create the lightest, yet strong and sustainable design possible. The interior gives the room a modern and comfortable feel. The UFO has a double bed, three smaller single beds, toilet and living area. 30m² is all you need for a comfortable escape to childhood dreams. The Mirror Cube is an exciting hide-out among the trees, camouflaged by mirrored walls that reflect their surroundings. The base consists of an aluminium frame around the tree trunk and the walls are covered with reflective glass. To prevent birds from flying into the mirrored walls, they have been clad with infrared film. The colour is invisible to humans, but visible to the birds. The interior is made from plywood with a birch surface. The six windows provide a stunning panoramic view. The Mirrorcube offers a double room, toilet, lounge, and rooftop terrace. A 12-metre long bridge leads up to the tree room. This treeroom’s location was based on the idea of creating a platform high up on a sharp hillside overlooking the Lule River valley. You can reach the cabin via a horizontal bridge among the trees. At the front of the bridge is a large wooden deck. The Cabin hangs slightly off-set, under the deck, partly to visually reduce the size and partly to give the tree room its own custom look. The Cabin is like a capsule, a foreign body in the trees. The room is 24m² and accommodates two people, with a double bed, toilet and private terrace. The lower level Blue Cone is a traditional wooden structure that you access via a bridge. The exterior consists of laminated birch wood, the interior of timber. The treeroom is 22m² and has four beds, separate sleeping loft, toilet and living room. The views from this treeroom are stunning. 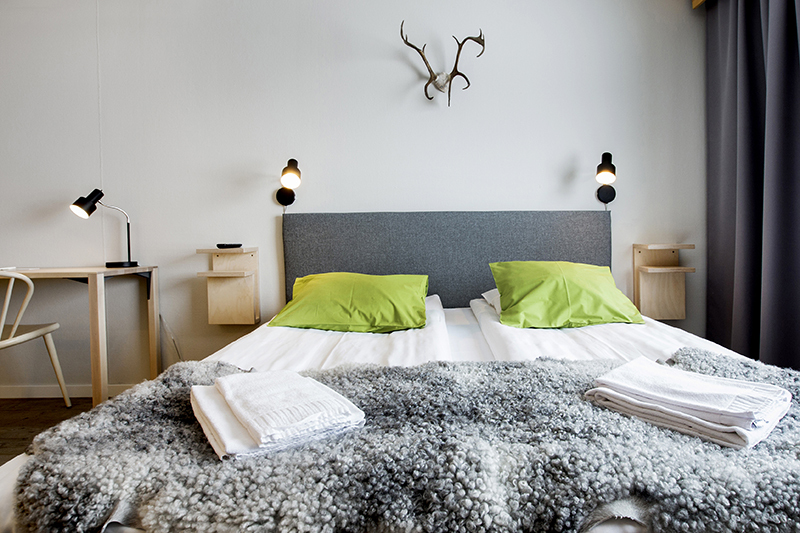 The above rooms have close access to showers and sauna in a separate building. There are two larger, deluxe rooms. The larger Dragon Fly room rises above the ground providing wide angle views of the valley through its floor to ceiling windows. The russet brown metallic exterior is slowly rusting blending in with its pine tree surroundings. There are two double/twin bedrooms as well as living and dining area, shower and toilet. The newest and most ambitious of all the rooms, the 7th Room is undoubtably the most luxurious. The room is reached by an intriguing series of walkways and landings until you reach 10 metres above ground high in the trees where views of the Lule River open up before you. Facing north, the panoramic windows and skylights ensure an uninterrupted view of the Northern Lights should they make an appearance during your stay. Perhaps the most spectacular feature of the 7th Room is the outdoor netting through which a pine tree grows. Here you can lay back, look at the stars, sky and even fall asleep. Inside, the room accommodates up to five guests in two double bedrooms and a sofa bed. There's also a lounge area, toilet, shower and organic toiletries. The forest spa is located next to the tree rooms and includes a sauna and hot tub, which can be hired during your stay. 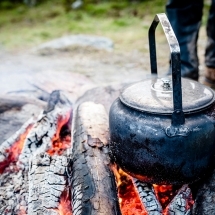 After your night in the trees, a hearty breakfast pre-empts your day in the surrounding nature of northern Sweden. Choose an optional activity to tailor your break at the Treehotel. 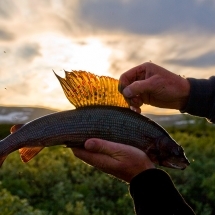 Why not enjoy the wilderness by horseback or take to the Lule River by canoe or kayak. If you're interest in wildlife watching, there's plenty to choose from including a moose safari and bear watching. 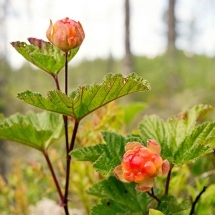 Hiking, biking and wild food foraging are also possible. In the evening, why not opt for an 'al fresco' tree dining experience fro the dizzying height of 10 metres above ground. You'll stay another night in a tree room. Today your journey across Sweden's high latitudes continues beginning with a train journey further north still to Kiruna. Here you'll stay in a cosy chalet at Camp Ripan for two nights. With access to nature, great food and a fabulous Aurora Spa, this is a perfect base to continue your search for the Northern Lights. This evening, why not choose to gaze at the night sky in the resort's unique Aurora Dome with its panoramic views. Today we'll tailor your day with optional activities. 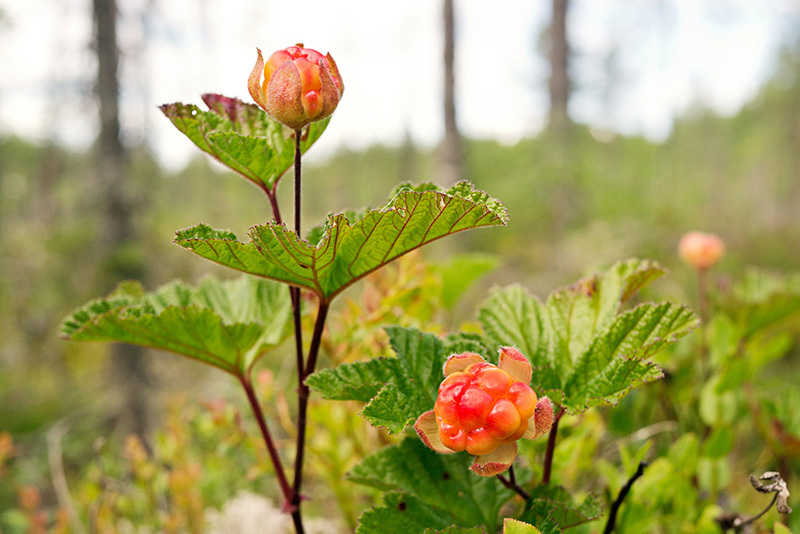 In the early Autumn, why not join the locals as they show you their preferred spots for cloudberry picking. Or you could take to the water on a dawn fishing tour on the River Torne, or perhaps enjoy a tranquil rowing boat tour with your local guide. In the evening we recommend another Northern Lights experience. The Aurora tour with dinner at the famous Abisko Sky Station gives you a great chance to spot the Northern Lights. The tour guide will tell you all about the sami culture and help you catch the Lights on camera. After breakfast and some time at leisure, we'll arrange a transfer to the world-famous ICEHOTEL where you'll stay in one of the 365 rooms. 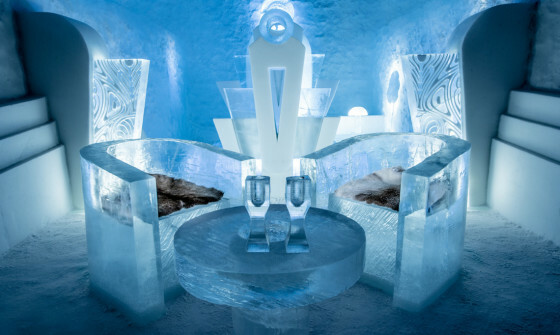 Thanks to solar panels hidden in the green roof, the ICEHOTEL is able to offer winter all year round. 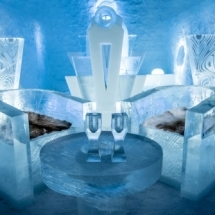 You'll stay in an art suite or deluxe room complete with sculptures carved from ice. 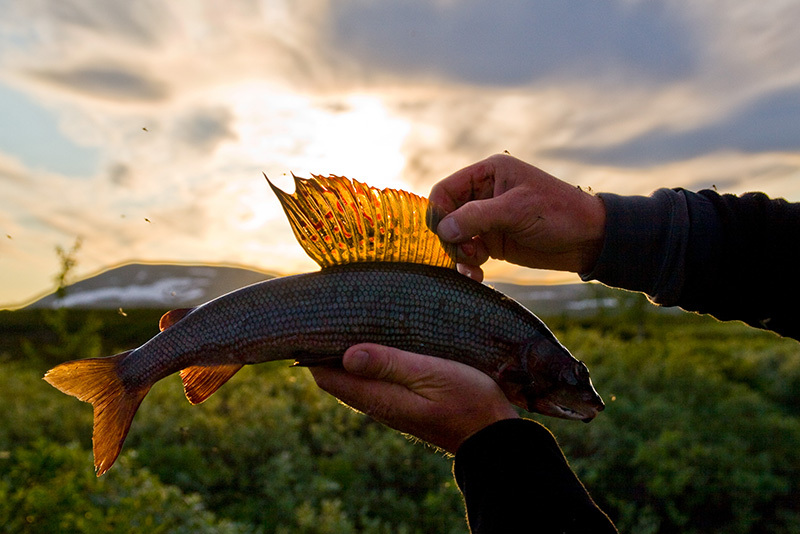 Optional activities include a wilderness dinner, photography tours and river rafting. ICEHOTEL is now open all year round. It may be summer or autumn outside, but inside it's perpetual winter thanks to some cleverly concealed solar panels in the sedum roof of ICEHOTEL 365 keeping temperatures below zero and sculptures frozen in ice. You'll stay warm overnight in a thick winter sleeping bag. Deluxe rooms come with private heated private bathrooms and WCs. Warm hotel rooms are also available to extend your stay. Breakfast is served in the ICEHOTEL's restaurant. Today it's time to bid farewell to Sweden as your Autumn adventure comes to an end. We'll arrange a transfer to nearby Kiruna Airport or alternatively we can extend your trip in Sweden or continue to Arctic Norway. Please get in touch with our team of Nordic travel specialists to tailor your holiday. This holiday is available between 20th August to end of November including October Half Term holiday. If you'd like to stay at the Treehotel in Winter, please take a look at this link. The holiday can also be a fly-drive holiday throughout the summer and fall.